The final week of season 7 of Fortnite has started. The new week brings all new challenges that players can complete to level up their battle pass. 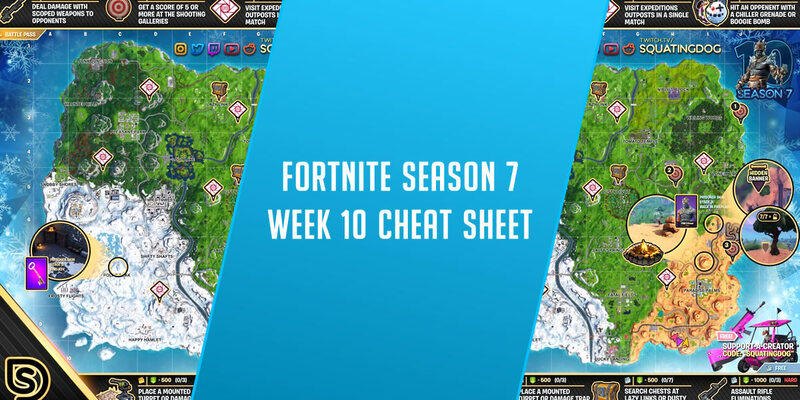 To help you complete your challenges an all new Fortnite week 10 cheat sheet has been released. 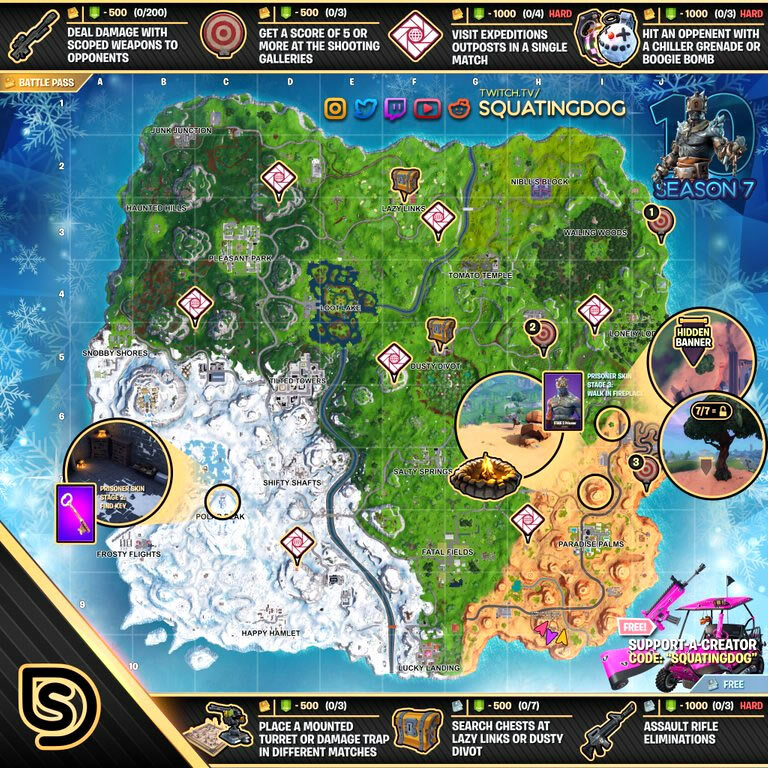 The cheat sheet is a mini-guide to help you complete all week 10 challenges with locations for challenges and tips. On the week 10 cheat sheet the challenges are broken into two groups, free and paid. The paid challenges are on the top row, while the free challenges are on the bottom row. Visit expeditions outposts in a single match (4 outposts) (HARD) – TIP: Use the planes!